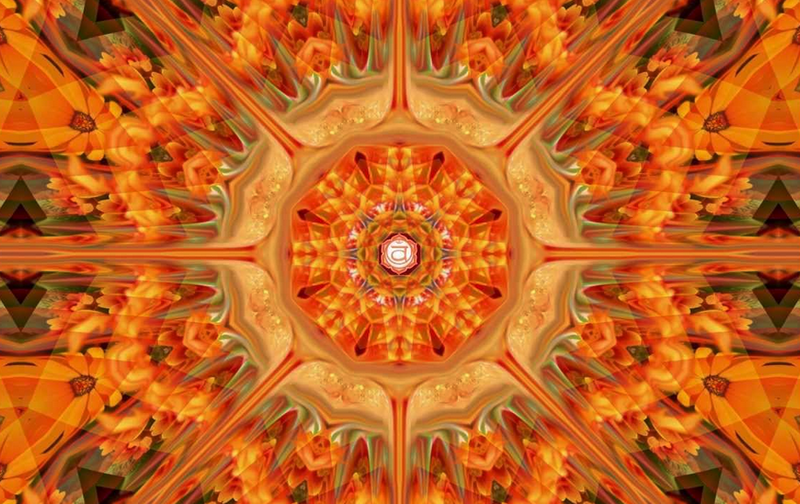 Learn how to tune into the abundance of nature & vibe on joy with the power of the Second Chakra. How glorious it is to feel the presence of the sun and to see the great influx of bees buzzing about. Noticing the abundance in nature brings you back to center and helps you to embrace the beauty that is all around you. The question is, are you taking it all in? Are you taking in the beauty around you, the conversation that is happening in nature, or are you caught up in your day-to-day routine? How good would it feel if you took just one hour to enjoy being in your skin? How splendid would it be if you were to simply take a breath, listen and feel? Taking time to feel the wind as it passes and how your skin catches it calms the mind in ways hard to describe. The beauty of nature supports you. Within the embrace of nature, your creativity soars even higher. Give yourself permission to accept who you are and create in your beauty. The second chakra looks at the great artistry of nature. How simple at times and at others so complex that you know the creations in nature were completely purposeful and must have come from a supreme intelligence. The work is all around us. Seeing beauty everywhere has always been in the highest intentions for us all. To see the beauty all around us and in ourselves is a part of the magic of life. Take some time to study a leaf. Look at its veins and the curves of its edges. Relish the day and night. Celebrate the star nation, stare at the moon. Beauty is all around you every day. Yes, water is supreme, but water is also a mirror. When we look at the aspect of water being a mirror, we realize how the law of attraction plays a very important part in our lives. Especially with the fact that the second chakra is all about how we want to see ourselves in the world. The images we create in our minds become the things we attract most. Most importantly water fits itself anywhere happily and this factor gives us a clue to the ability we have as master creators. We can choose whatever form we want. Whatever colors sparks your desire is a reflection of your essence. The sound of the second chakra is Vam. The color is orange. Some crystals that work great with this chakra is carnelian and moonstone. A scent for aromatherapy is white grapefruit. So, celebrate for a moment and do a happy dance – you don’t need a reason to do the happy dance except that you exist. Dance. Ask yourself “What makes me happy”? And no matter how simple it is, celebrate. I love pistachio, and anytime I find something with pistachio flavor whether it’s muffins, ice cream, cough syrup I do a happy dance. Follow your bliss, listen to your heart, trust yourself. In the pursuit of your pleasure, you are more creative, more friendly, more loving, more intuitive. So, vibe on your joy. Relish in every aspect that you choose to live. If you allow it, pleasure is all around and within you! Sherida is available for private and group yoga classes she specializes in lower back and sciatica pain as well as vinyasa classes. She also charts your chakras to see which direction they are spinning and balances them through asana and sound therapy. She also works extensively with crystals and makes custom jewellery to heal. Check out her website for the latest workshops and retreats coming up at Purusha Yogi. Sherida was born in Jamaica and raised in New York. She started her love affair with yoga about 18 years ago through a severe nerve injury that left her on the precipice of becoming deformed. Yoga was introduced through her doctor and she found such healing that she never looked back and now has been teaching for over 13 years. Healing in every way has become a way of life and sharing that healing is of absolute importance in every area of her life as a healer but also as an artist. Certified through Yoga Works in NY, Sherida has interned and studied with some amazing master instructors. 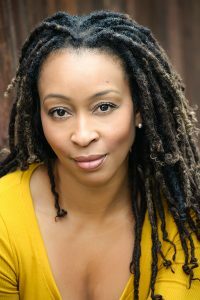 She credits her influence from an amazing array of instructors on both coasts such as Julie Kleinman to Kara Sekular and spiritual teachers such as Pandit in NY Ashram, and guidance from the ancestors and Orishas. She currently teaches Power, Vinyasa Flow, DeeStretchch, and Chakra Orisha Therapy. She also helps people balance their chakra’s through her own experiences, years of study and a desperate need for healing for herself a path of cleansing the system of light, and balancing came through the system of yoga. She teaches private and group classes, as well as certifying instructors, sound therapy, workshops and Retreats. She is also a trained and pursuing actress of stage and screen and try to bring the aspect of healing into every aspect of her work with her students and her audience. An advocate and believer in the great spirit all around us and within us all. Hanumanasana, often called the splits, is the extraordinary experience of moving in two opposing directions at the same time, without falling apart, or holding the breath, or injuring ourselves. In practicing this great leap of Hanuman, we learn to engage actively and consciously, while releasing actively, consciously and bravely. Manipura, lustrous gem, set in the navel centre of the human body, is our first masculine step in the ascension of the chakras. We rise out of the receptive and feminine earth and water realms of the first and second chakras, to take action in the world. As I’m reading the above article ” How to uncover the treasures of the Chakra through yoga by Kara-Leah Grant Black and also the article by Sherida Mullings, “the second Chakra, thinking , this is my story. This is exactly where I am in my pain and need of healing. I feel relief jus reading their encouraging empowering words. Undoubtedly, I know I will be healed through Yoga.